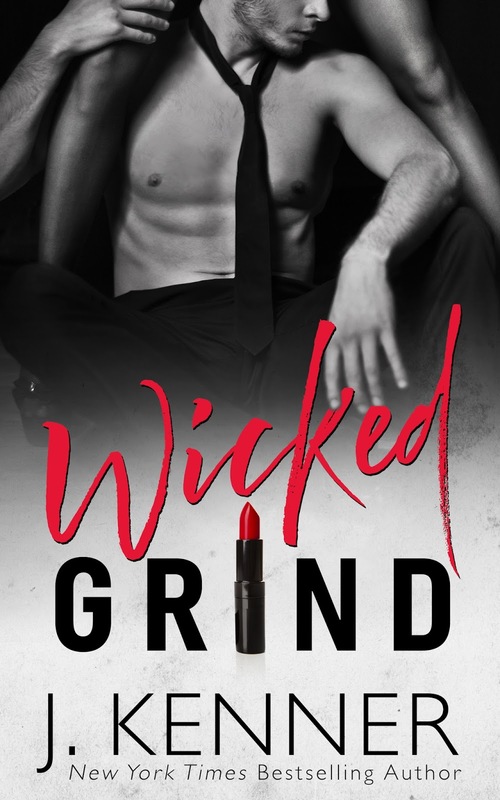 Ellie Is Uhm ... A Bookworm: InkSlinger PR Hosted Release Review & Excerpt Tour for WICKED GRIND by J. Kenner! InkSlinger PR Hosted Release Review & Excerpt Tour for WICKED GRIND by J. Kenner! Wyatt Royce is successful photographer. He's gearing up for an upcoming exhibit that’s going to showcase the most sensual and enthralling pieces he’s ever created, but he’s missing one thing: the perfect model and not just any type of model - innocence mixed in with a sexual prowess and a boldness that she exudes naturally. He has a glimmer of this woman in his head, but finding has proven difficult, that is until his past comes flying into his door in the form of a first love, never forgotten and never moved on from. Kelsey Draper is innocence - in more ways than one. She lives by a strict set of rules & doesn’t break the rules easily as the last time she did - her world blew up in her face, literally. The only thing Kelsey is focused on nowadays is taking care of her younger brother & helping him with medical expenses. Her long ago dream of being a professional dancer has been abandoned. She needs fifteen thousand dollars and fast, but there's a small window of time in which to achieve this. That is until an opportunity presents itself and she literally walks into a blast from her past. Now every feeling she’s ever had has quickly resurfaced - ten fold. But after twelve years of hurt and pain, can Kelsey and Wyatt finally move forward and get their chance? When I read a story that has flashbacks in it, my only wish is that it’s done well - as I need an understanding of what happened then that effected the characters as they are now. The past was perfectly portrayed, and explained how so fast everything went wrong in Wyatt & Kelsey's relationship. From their first meeting, to watching how their friendship grew into something more, each glimpse into the past was the highlight I needed. I loved Wyatt’s character and even though he was a bit standoffish in the beginning (the flashbacks perfectly present why he is the way he is now), he redeemed himself and I was cheering for him to get the girl. The only cause of concern I had was in Kelsey and her reactions during several parts of the story. I felt she needed to be more tough/take charge in certain situations. Her relationship with her father was the main source of her issues and I felt that he didn't warrant such a presence in her life as he wasn't in the story much if not at all. If you a fan the author’s previous books for the Stark World, I know you’re going to enjoy this one immensely as some of those characters appear in this book and it's like getting to see old friends again after a long absence. Second chances romance are my new thing and as soon as I heard about this one, I had to get my hands on it! Sometimes, life gets in the way or sometimes it's just case bad timing - but there's one thing you can’t deny ... and that's when you know you’ve been given another chance at not only getting your old love back, but somehow, someway making sure the mistakes you previous made don't come back to bite you. This was a beautifully told story of love, forgiveness, desire and finally finding the strength to become the person you were always meant to be.